The sheer size of Los Angeles creates endless challenges for those who must keep the city running smoothly. Almost as challenging, however, are the complexities of nearby Orange County. Fortunately, Roadway Construction Service (RCS) has the area covered with its high-level Orange County traffic control services. As with L.A., Orange County traffic control isn’t just about dropping a few cones and hoping for the best. OC roadways, activities, and businesses all interconnect. When one component requires special attention, the others likely will be impacted. All of which means a traffic control service must plan ahead. With summer celebrating about to erupt, Fourth of July offers an apt showcase for the planning powers of RCS. 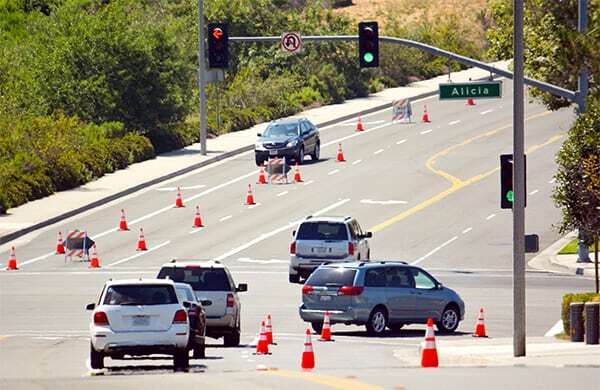 Last year, RCS brought its expertise to Lake Mission Viejo, providing complete traffic control services for the city’s annual Independence Day celebration. Long before skyrockets soared and families flocked, the RCS team hunkered down and worked out every last detail of traffic control for the special event. These intensive efforts covered site surveys, planning, coordination with event staff, advanced notifications, and safety service. Thanks to their expert Orange County traffic control services, events such as these consistently go without a hitch. But what about the events you can’t possibly plan for? RCS is on top of those, as well. Case in point is last year’s burst water pipe in Newport Beach. For that little surprise, RCS harnessed the power of its Emergency Response Traffic Control services. Available to OC 24/7/365, these emergency measures include rapid assessment via map, onsite assessment, and coordinating with contractors to devise an action plan and deploy appropriate equipment. Also included in an RCS response strategy are plans for lane and road closures, as well as the deployment of flaggers for pedestrian traffic heading to and from the beach (includes bicyclists and pedestrians with dogs). Drawing on its formidable resources, Roadway Construction Service rapidly implemented a response plan that enabled the delivery of repair equipment to the Newport Beach emergency zone. Time from call to equipment arrival – one hour! Once the equipment arrived, RCS crews deployed to manage traffic control until the job was complete and the area secure. Planned or unplanned, RCS has proven itself over and over when it comes to traffic control in Orange County – no matter what the requirements or situation. If you’re interested in learning more, contact RCS for a complimentary consultation. You’ll discover why they’re the go-to service for traffic control in Orange County and all of Southern California.